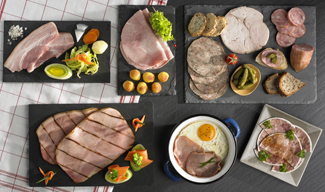 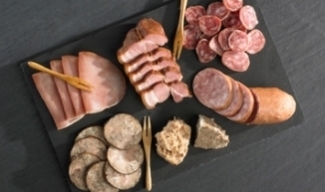 Saveurs des Mauges offers a wide selection of deli meats (over 280 different products), made from 100% French pork. 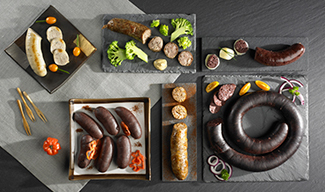 Premium products made using traditional regional recipes packed full of the delicious, authentic flavours of the good old days. 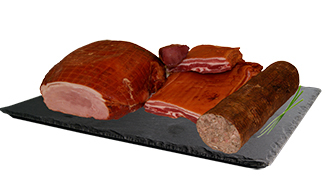 Smoked hams, andouilles, smoked bacon and dry cured sausages, all smoked in the traditional fashion using natural sawdust for even more authenticity and flavour. 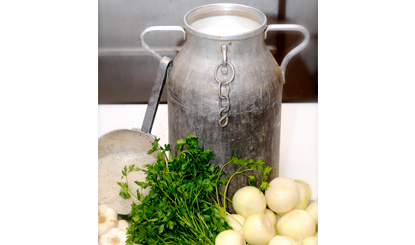 Our traditional products are all made with 100% fresh ingredients (parsley, garlic, onions, milk sourced from a local farm and delivered fresh every morning). 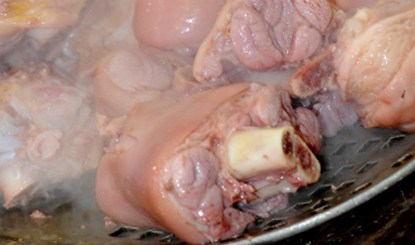 Trotters, ears, hock and ribs cooked in stock. 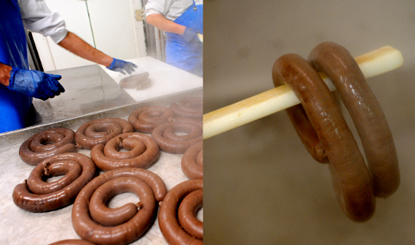 We boil our black pudding in stock in large cauldrons. 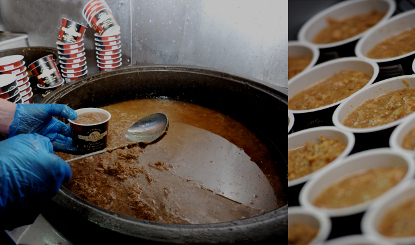 left to slow-cook for 18 hours in cast-iron cauldrons and mixed with a wooden spatula before being ladled into pots.